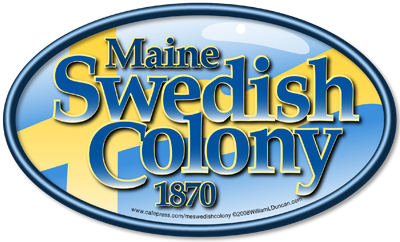 Copies of the 24 page booklet may be ordered from Maine's Swedish Colony, Inc., P.O. Box 50, New Sweden, ME 04762. The booklets are $3.00 each, sales tax included. Postage and handling costs are as follows: (US funds only). Please include your mailing address and telephone or E-mail address with order. booklets - $3.00 each, available at the New Sweden Museum and the Capitol School Museum. For convenience, you may use our secure PayPal account with your credit card. 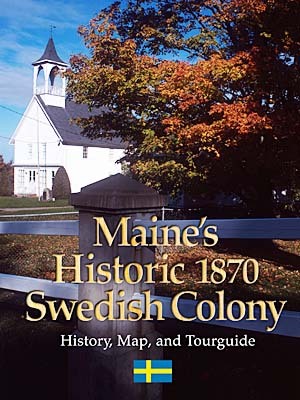 The Swedish Colony historical societies originally produced this booklet with help from a Maine Arts Commission and Maine Community Foundation grant, so we were able to offer books from the original printing for free. When the original printing was gone, we paid for a second printing. So we must pass the cost along. However, the entire text is available online.